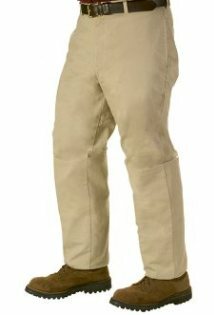 Rugged and comfortable, SnakeArmor pants feature a soft, all-cotton shell with a TurtleSkin snake-resistant liner sewn into the legs from the knee to the ankle. Protect yourself from snake bites while enjoy outdoor activities in style! "On September 13, 2014 I was bitten by a large timber rattlesnake and was hospitalized for a week. 12 vials of anti-venom later after enduring a terrible amount of pain and pain killers, I was released. I make my living walking wetland boundary lines as I am a Wetland Consultant. I'll never go into the woods again without my SnakeArmor! The most comfortable snake protection currently on the market!"